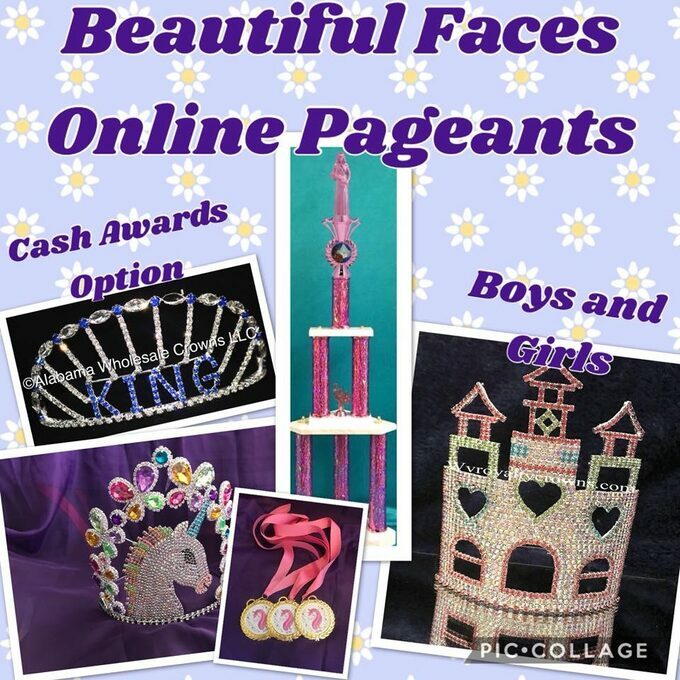 Join Beautiful Faces Photo Pageants  Photo Pageant group for your chance to win crowns, trophies, or cash! Open to boys and girls across the U.S. We also occasionally have contests for moms, dads, pets, and anyone over 18 years old. Check us out today!